THE WAIT IS OVER. 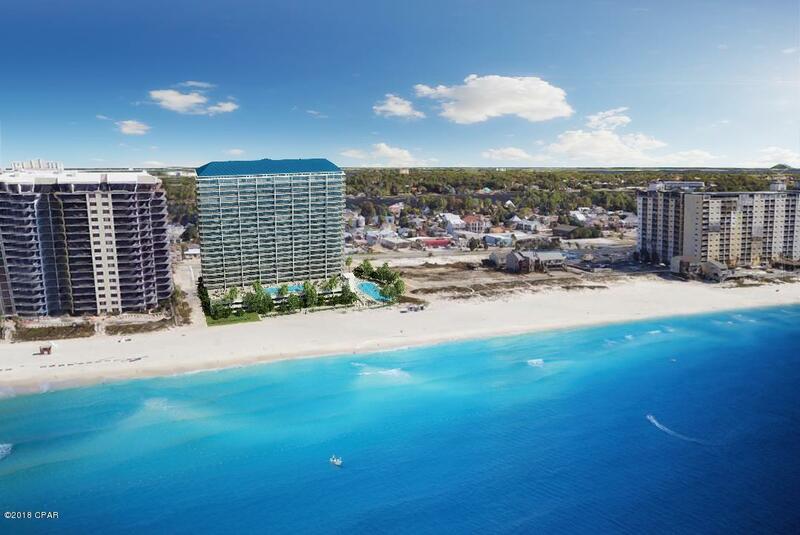 WELCOME ''PALACE SANDS'',THE FIRST GULF FRONT CONDO ON PANAMA CITY BEACH IN OVER 10-YEARS. Be the first to sign up for one of these spectacular units. This is a 2-Bedroom, 2-Bath unit with an additional bunk alcove. There is 1,229 sq.ft. of luxury living space with an oversized 300 sqft. Wrap balcony. Palace Sands is being developed by the same team that brought the unparalleded Princess Condo to Thomas Drive nearly 20-years ago. Developer's efforts will be similarly modeled after that beautiful project at every turn-- from the inspirational architectural beauty, to the quality of construction and & from the top-drawer amenity package to the fine detailing and trim-out of each and every one of their 158 new condos. Amenities include two Oceansidepools, another indoor heated pool with spa, poolside cabanas, snackbar, fitness room, gazebo with gas grilling for the do-it-yourselfers, and game room. There is covered parking available as well as an outside parking lot. An onsite rental office will be available for owners who want to rent their units out on occasion. Palace Sands is located close to most of the areas best restaurants, the fishing and dive fleets, entertainment venues for young and old and St. Andrews State Park, one of Florida's topped ranked parks annually. Sit on your balcony and watch the dolphins swim by as you enjoy an afternoon sunset. To secure a reservation on this much desired unit, contact your Realtor while availability is still good. Panama City Beach is desired by many people for its sand, surf, and sun, and now add "Palace Sands" to that list.